To be a core member of the European Union, the history of using wood pellets in the UK is much longer than the rest of the world. In the past few years, wood pellets has become a significant fast-growing fuel for industrial biomass power plants in Great Britain. In 2014, the number of wood pellets which is used by British main industrial power stations to generate electricity is 22% of all the renewable energy, and 36% of all the bio-energy fuel. It requires a large quantity of wood pellets. The research shows that there is a big increasing of UK wood pellet import in 2014, nearly 4.8 million tonnes of wood pellets for power generation was imported to Britain. The increasing is determined by the conversion of the traditional power stations. During 2008 – 2011, the demand of wood pellet is average, because the wood pellets was co-fired with coal in most of the power stations in the UK. Due to the political and regulatory policy interventions, from the end of 2011, several British main power stations started to convert to dedicated biomass plants, such as: Tilbury B power station (used to be a coal- fired power station) . 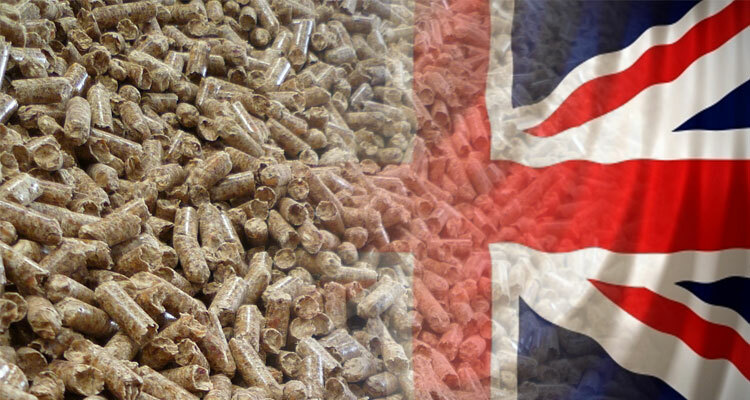 It provides a large domestic need of wood pellets in Britain. For the investors, there is not only a domestic need of wood pellets in Britain, but also a potential of wood pellet export. The EU is the main area for wood pellet import and export.Most of the wood pellet export is partitioned by the Baltic states. The British wood pellet export starts in 2013, and is 1.4% of the total EU export volumn in 2014. As you can see, it is a booming industry which is increasing annually. 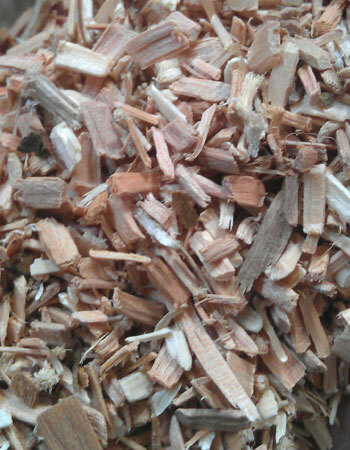 Typically, the raw materials for wood pellets are wood wastes, such as: wood chips, wood shavings, sawdust, etc. As an established developed country in the world, the Great Britain has established its own Waste Policy, which has strict wood wastes grades. Grade A “Clean” Recycled Wood Manufacture of products such as animal bedding, horticultural mulches, and the panelboard sector. e.g. joinery Pallets Solid softwood and hardwood, packaging waste, scrap pallets, packing cases, and cable drums. Process off-cuts from joinery/manufacturing. Nails and metal fixings. Minor amounts of paint, and surface coatings. Grade B Industrial Feedstock Grade A feedstock for industrial wood processing operations such as the manufacture of panel products, including chipboard and medium density fibreboard. As Grade A, plus construction and demolition operations, and Transfer Stations. May contain up to 60% Grade A mplus building and demolition materials and domestic furniture made from solid wood. aterial as above, Nails/metal fixings. Some paints, plastics, glass, grit, coatings, binders and glues. Limits on treated or coated materials as defined by WID. Grade C Fuel Grade Biomass fuel for use in the generation of electricity and/or heat in WID compliant installations. All above, plus Municipal Collections Recycling Centres Transfer Stations, and Civic Amenity Recycling sites All of the above, plus fencing products, flat pack furniture made from board products and DIY materials. High content of panel products such as chipboard, MDF, plywood, OSB and fibreboard. Nails and metal fixings. Paints coatings and glues, paper, plastics and rubber, glass, grit. Coated and treated timber (non CCA or creosote). In UK, wood wastes can be made from many sources, such as: municipal, commercial, industrial, construction and demolition, etc. The official statistics shows that UK wood waste was 4.3 million tonnes in 2010，this annual amount is stable during the last 5 years. It provides a stable raw material source for the wood pellet manufacturers. Below, you can see the pellet line we built for our client in Cornwall, England. Our client is selling biomass boilers which is imported from Bulgaria and offering the complete heating solution, which without doubt, the pellet fuel for the boilers is contained in the contract they signed with their clients. 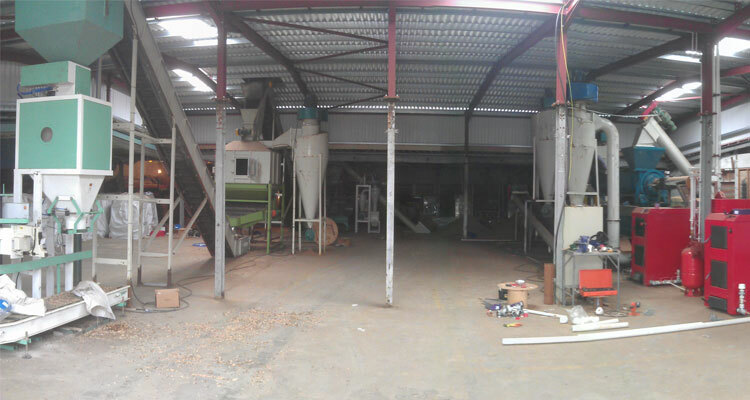 Before the cooperation between us, our client bought biomass pellets from other British wood pellet plant with a price over 300 pounds per ton, Now, with GEMCO pellet line, our client is able to provide pellet fuel for their own boilers. Raw Materials The raw materials come from a forestry processing factory nearby, which is a mixture of bark, leaves, pine boughs and wood chips, and a small scale waste wood sheets which is from the construction industry. The waste sheet is crushed through the side-feeder of the powder-cutting machine. Pellet Line Introduction This is a complete pellet line include power-cutting machine to wood pellet drying , pellet machine, cooling and package system. 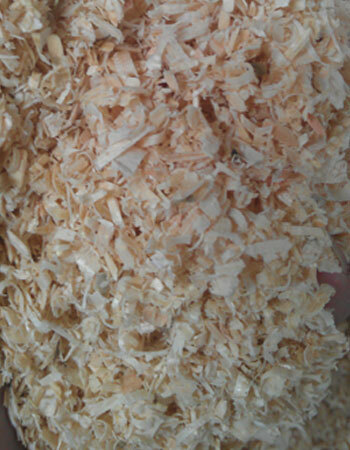 Raw material for making pellets- left: wood chips; right: wood shavings.